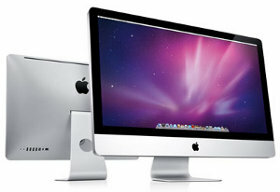 All standard Mac OS X applications and, of course, several installed applications are available on the machine. You can find them all by using the Finder in the "Applications" directory. In particular, third-party applications (such as Firefox, Adium, etc.) can be found in "Applications / Packages". Users can also install their own applications downloaded from the Internet into their home directory. Refer to the documentation for a specific program for installation. If you think there is a program that other users could use than you, contact the administrator at unix @ fi to include the program in Application / Packages. Click the Apple icon in the menu bar and select "System Preferences> Desktop & Screen Saver," click the "Screen Saver" tab. Select the desired screensaver from the list on the left. Click "Hot Corners" and select "Start Screen Saver" from the drop down menu at the desired corner. To activate the screen saver, drag the mouse to the desired corner. Make sure you have the password-protected "System Preferences> Security" when running the screen saver. In Applications / MacPorts or / opt / local / bin, the installed applications are located. To install others, contact unix @ fi.